Civil Services Preliminary Exam General Studies Paper 2 is popularly known as CSAT. There are many who call not only the General Studies Paper 2, but also the complete preliminary stage exam as CSAT (Civil Service Aptitude Test). Aspirants should note that a terminology like “CSAT” is nowhere mentioned in the UPSC notification! It is just a popular convention for Paper 2. General Studies Paper 2 is also for 200 marks like the General Studies Paper 1 of Civil Service Exam Prelims. Paper 2 is comparatively easier and high-scoring than General Studies Paper 1. In all previous examinations so far, the number of questions in CSAT Paper 2 was 80, with each question carrying 2.5 marks. Negative marking being one-third, the candidate will lose 0.833 marks from his total for wrong answers. There are many books for CSAT in the market, often confusing freshers about how to select the right book for the exam. Civil Services Preliminary Exam Paper 2 (CSAT) being more practice oriented, it’s always better to select books with quality problems. The book(s) should also cover all sections mentioned above in the UPSC Prelims Syllabus in detail. We are listing 4-5 CSAT Books which contains sections like reasoning, maths, comprehension, mental ability etc suiting UPSC requirements. These books are hugely popular among the Civil Services aspirants community. Have a look. CSAT Manual: General Studies for Civil Services Preliminary Examination (Paper – 2) by TMH (Tata McGraw-Hill) is the most popular name in this segment. This is a high quality book covering almost all areas of the question paper/syllabus (a little heavy too 🙂 ). The book also consists of practice question paper sets and solved question papers of previous years. If price is not a concern, go for this TMH Manual. This revised edition of Cracking the CSAT Paper – 2 : Civil Services Aptitude Test more or less covers the UPSC syllabus, touching areas like verbal and numerical skills, Data Interpretation, General Mental Ability, Interpersonal Skills and Communication, Decision Making and Problem Solving Skills, and Analytical Ability. Practice tests + Previous year question papers makes this book, a serious alternative to TMH Manual, particularly for those who are searching for low-priced books. While most similar books are published with a focus on last-minute preparations and quick comprehension, Analytical Reasoning by M. K. Pandey focuses on the basics of the subject of logic and reasoning. It is designed to help the reader understand the foundational aspects better. Never get deceived by the not so attractive cover, this book will turn out as a really handy tool for all serious CSAT takers. This book is useful not only for UPSC, but also for various other exams like CAT, GMAT, CLAT, Bank PO etc. Can be used to supplement TMH/Arihant. A Modern Approach To Verbal & Non-Verbal Reasoning is of great use to students preparing for a number of entrance examinations, whether it be for an MBA or for a job in the Civil Services. One of the primary reasons as to why students should use this book is that it contains a great deal of practice questions, often explaining topics like basic analogy, directions and non-verbal reasoning which you may not find in books on analytical reasoning. There are many other books too in the market covering similar areas. The below mentioned names also are personal favorites of many, particularly those who prepare MBA/Bank exams along with UPSC. But in-case, if you already have any of the three out of four mentioned books above, we think that you can skip the names below. 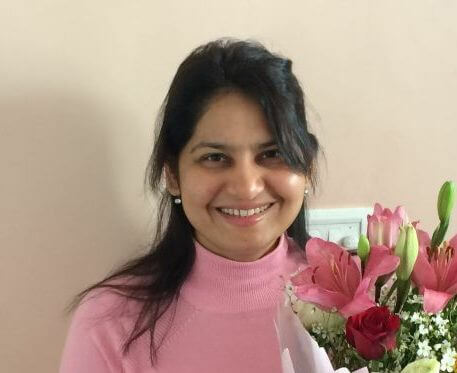 Trishna’s Quantitative Aptitude And Data Interpretation. CSAT Conceptual Approach (Paper – 2) by P. N. Roy Chowdhury. CSAT (paper II) by Cl India. UPSC Portal: CSAT Comprehensive Manual. IAS Books Prelims – Logical Comprehension. IAS Books Prelims – English Language Comprehension. IAS Books Prelims – Logical Reasoning and Analytical Ability. IAS Books Prelims – Quantitative and Basic Numeracy. IAS Books Prelims – Data Interpretation. IAS Books Prelims – Decision Making and Problem Solving. IAS Books Prelims – Interpersonal Skills including communication skills. 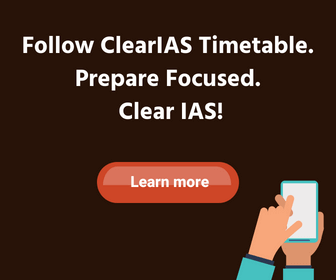 IAS Books Prelims – CSAT Paper 2 Complete Guides / Question Papers. RESPECTED SIR / MADAM FOR MAINS STUDIES CAN YOU PLEASE SEND ME BOOKS NAMES FOR CHEMISTRY SUBJECT ALONG WITH PLEASE SEND ME QUESTIONS REGARDING MAINS EXAMINATION OF CHEMISTRY SUBJECT. SIR REST OF YOUR INFORMATIONS FOR STUDIES IS VERY VERY NICE. I am doing C.A. appear for exam in Nov,2015 (only one group pending rest exempt) and want to give UPSC exam in 2016. Kindly suggest way to study & books( want to do self study). Reading news daily & using clear ias app. I m 3rd year student of engineering . Sir give me name of book for mathematics opational subject. & also csat paper-2. RESPECTED SIR / MADAM, I m 2nd year student of BSC in Physics. I want to clear the IAS exam. so please give to me all type information that how i am prepare to this exam. also give details about mains and prelims exam. How I am clear it? What is pattern for this exam.sent the preliminary question paper. I am a student of BSC in physics. I have an aim to clear CSAT in 2020, can you recommend how i should start preparing from now ? i would be happy to receive any kind of guidance on books and problem solving. Kindly tell me best books for csat ..
Sir, i am doing graducation by eng. (hons). but i want to keep history optional sub. can i do this. plz reply.